I'm thankful that increasing attention is being paid to the dire state of higher education in our country. 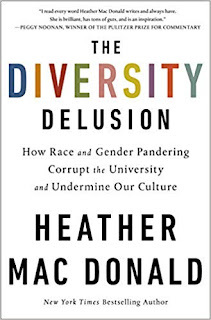 Heather Mac Donald, a fellow at the Manhattan Institute, has just published "The Diversity Delusion." 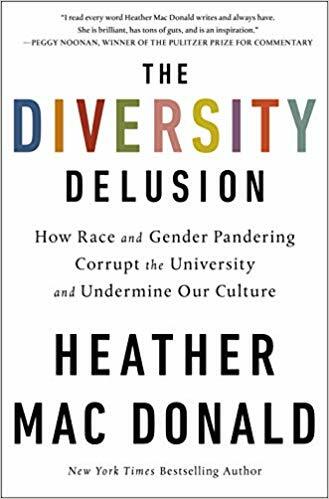 Its subtitle captures much of the book's content: "How Race and Gender Pandering Corrupt the University and Undermine Our Culture." Part of the gender pandering at our universities is seen in the effort to satisfy the diversity-obsessed National Science Foundation and the National Institutes of Health, each of which gives millions of dollars of grant money to universities. If universities don't make an effort to diversify their science, technology, engineering and math (known as STEM) programs, they risk losing millions in grant money. A UCLA scientist says, "All across the country the big question now in STEM is: how can we promote more women and minorities by 'changing' (i.e., lowering) the requirements we had previously set for graduate level study?" Mac Donald says, "Mathematical problem-solving is being deemphasized in favor of more qualitative group projects; the pace of undergraduate physics education is being slowed down so that no one gets left behind." In terms of careers, females are more people-centered than males. That might explain why females make up 75 percent of workers in health care-related fields but only 14 percent of engineering workers and 25 percent of computer workers. Nearly 82 percent of obstetrics and gynecology medical residents in 2016 were women. Mac Donald asks sarcastically, "Is gynecology biased against males, or are females selecting where they want to work?" Remember, equality always means conforming to the lowest denominator. This dire state of higher education had its genesis in the culmination of the Civil Rights movements 50+ years ago, in the policy of Affirmative Action. When it comes to getting more women into STEM fields, the question I've always asked is: Is there any chance that women, on the whole, simply DON'T CHOOSE these fields because they aren't interested in them? And if that's true, who cares? Exactly. If you care about women, let them be who they are. If you care about men, let them be who they are. Science and math are what they are and they dont get easier because you want them to be "more inclusive". As an engineering major, I haven't met a single person who was a student or an instructor that had a problem with women being engineers, and I have never seen the few women there are being mistreated. Nobody is trying to stop women from being engineers. People who think this way need to grow up and stop trying to force people to do what they want them to. How about believing in all humans' right to make decisions for themselves and what is good for them.